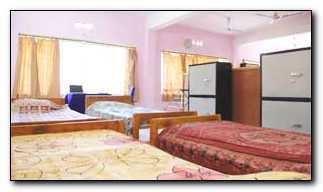 The institute has fully furnished separate modern hostel facility for both men and women students within the campus with 24X7 security arrangements. 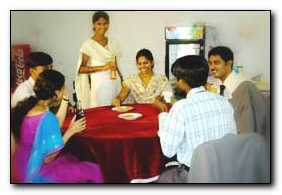 The campus canteen furnished to cater the students taste, besides breverages and snacks and provision to serve the meals to day and residential scholars with south and north dishes. Mantripalem, Near Lankelapalem Jn., Visakhapatnam - 531 021, A.P.